In just a few short weeks, Disney’s Oz: The Great and Powerful will be in theaters everywhere (March 8th, 2013). 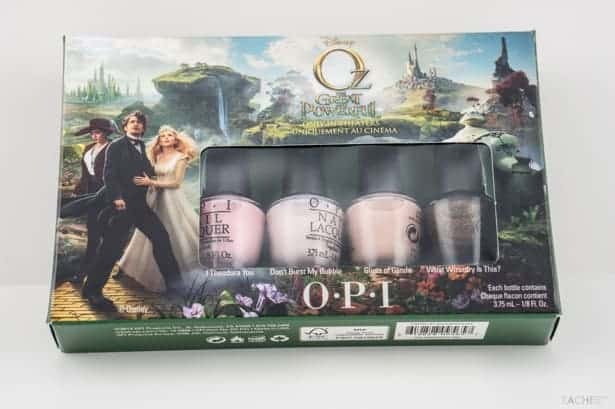 While you’re waiting for your night out at the movies, OPI wants to help you get prepared for the magic with its new Oz-inspired nail polish line. The new limited edition nail polish colors will be available in stores March 2013. I have been a nail biter for almost my entire life, and once I saw the gorgeous shades in this set, I willed myself to stop biting and let my nails grow out so I could start wearing nail polish again. In the meantime, my daughter is enjoying wearing What Wizardry Is This? and playing what she calls the “getting nail polish” game. On those occasions where I’ve managed to stop biting my nails, I’ve always been drawn to the Opi polishes my nail salon carries. I’ve always chosen colors that have fun names, so it’s no surprise I am now completely obsessed with what Opi has come up with for Oz: The Great and Powerful. 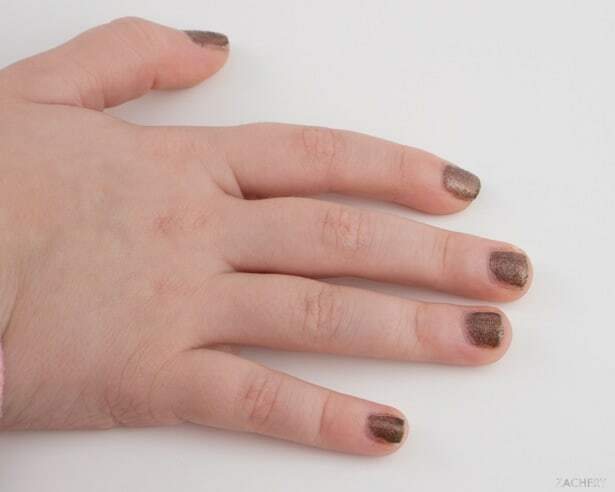 The Opi Oz-inspired nail polishes are not up yet on Opi’s site, but there will be several other colors in addition to the ones included in my sample pack. You can bet that as soon as they are launched, I will be making a trip to the nearest store that carries Opi and buying some of the other colors in the line. I love glittery and sparkly, so I cannot wait to see Lights of Emerald City and Which is Witch in person! Which color from the sample pack do you think I should wear on the red carpet with my emerald green dress? I love the Oz collection! I think you should wear Which is Witch or When Monkeys Fly! with your dress. I think What Wizardry Is This would match your dress great! I really like this set! I love how wearable it looks, as opposed to the wacky colors which, while fun, you know you’ll never wear. What Wizardy Is This? is especially gorgeous. My granddaughters are really going to like this collection, hope they are released soon. I would go with When Monkeys Fly! Lights of Emerald City is what you should wear to go with your dress. Lucky you – have fun and I love nail polish to. Have worn it since I was a teenager. Looking forward to these. Lights of Emerald City would be pretty! I would wear Glints of Glinda. I think you should wear the Glints of Glinda shade. She is my favorite character from Oz! I really like the color of What Wizardry Is This? on your daughter! I would probably choose that color out of that set to wear, besides maybe trying out Glints of Glinda! Congrats on being able to attend the premiere! I think Glints of Glinda is the wa to go! Lights of Emerald City is groovy! This set looks awesome. I absolutely love the theme. I like Lights of Emerald City!